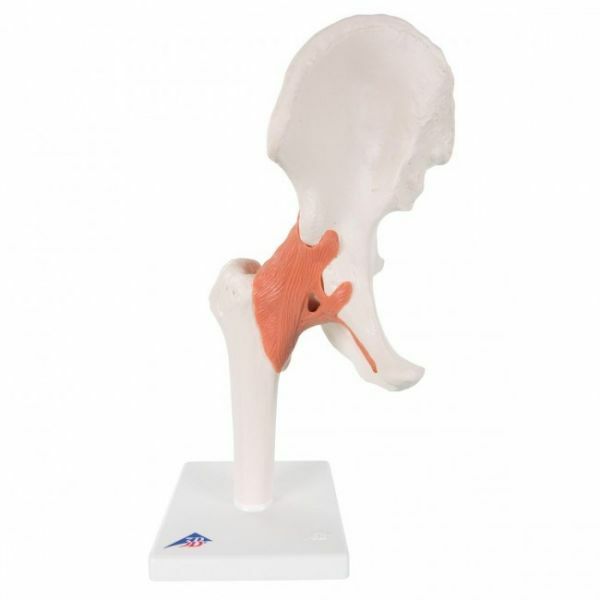 Functional Hip Joint is a life size functional hip joint model and clearly shows the anatomy and mechanics of the human hip joint. This fully flexible hip joint demonstrates abduction, anteversion, retroversion and internal/external rotation. This high quality functional joint consists of portion of femur, hip bone and joint ligaments. Comes on a stand for easy display in the classroom or doctors office.